Save time and money when you park at OAK. OAK saves you time by offering more than 7,000 convenient spaces, most within walking distance to the terminals. On-airport parking at OAK is better than ever with a Premier Parking Lot located directly across from the terminals and free EV charging on a first come first available basis. OAK’s Economy Parking Lot offers convenient parking served by frequent on-airport shuttle service minutes from the Terminals at a competitive price. 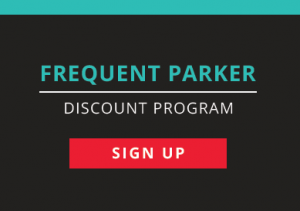 We encourage our loyal customers to register for the Frequent Parker Program. This is a great way to enjoy OAK’s convenient Parking options, while earning a free day of parking in our Daily Parking lot. Join our Frequent Parker Program and earn free parking. The closest and most convenient parking at OAK is located directly across from the terminals. Located off Airport Drive, in front of Terminals 1 and 2. After the Premiere Lot, the closest proximity to the terminals and convenient for short-term parking is the Hourly Lot. Located off Airport Drive, in front of Terminals 1 and 2. The Daily Lot is the most convenient extended-stay and overnight parking. Easy walking distance to the terminals. Located off Airport Drive. The best value at OAK for close-in, extended-stay parking. Most sections are within walking distance of the terminals, with frequent on-airport parking shuttle service. Located off John Glenn Drive near Terminal 1. Free, 30-minute waiting area. Drivers must remain with their vehicles at all times. Lot located off John Glenn Drive, near the Oakland Maintenance Center. Parking rates include an 18.5% City of Oakland Parking Tax. Cash, VISA, MasterCard, Discover, American Express and Diners Club accepted. No Refunds are issued once Customer exits the parking plaza. Earn a free day in our Daily Lot! Next time you park at OAK, save three of your non-discounted receipts and you will earn a One Free Day in Daily Lot coupon. Complete the sign up form and we will send you an envelope or on your next visit see one of our cashiers. Once you have 3 non-discounted receipts from parking in one of our facilities, you qualify. On your 3rd visit, please see our cashier and submit your Frequent Parker Program envelope. Please complete this envelope with all the requested information. Desktop Users: click “Directions” on the map below and enter your location to receive directions. Mobile Users: click “View larger map” and click “Directions” on the next screen. For Premier Parking: Stay in the left hand lane on Bessie Coleman Drive/Airport Drive and follow the blue overhead signs to Premier Parking. For Hourly and Daily Parking: Stay in the far left hand lane on Bessie Coleman Drive/Airport Drive and follow the blue overhead signs to Hourly and Daily Parking. For Economy Parking: From Bessie Coleman Drive/Airport Drive, take the second exit ramp. Turn right at the stoplight and follow the signs to Economy Parking, on your right. For Park & Call: From Bessie Coleman Drive/Airport Drive, take the second exit ramp for John Glenn Drive. Go straight at the stoplight and follow the signs to the Park and Call lot entrance, on your right near the Oakland Maintenance Center. Within 8 miles of the airport, travelers can tune to TIPs Radio 1700AM for current airport traffic, parking availability and security information. Watch for roadway signage at the entrance to the airport that will indicate which parking lots still have available space. Call (510) 563-3200 for parking information. On-airport parking is better than ever with newly expanded Premier Lot and conveniently relocated Economy Lot! OAK saves you time by offering more than 7,000 convenient spaces, most are within walking distance to the terminals. Premier: Closest, most convenient parking at OAK, located directly across from the terminals. Hourly: Closest proximity to the terminals, after the Premier Lot, convenient for short-term parking. Daily: Most convenient extended-stay and overnight parking. Easy walking distance to the terminals. Economy: The best value at OAK for close-in, extended-stay parking. Most sections within walking distance of the terminals, with frequent on-airport parking shuttle service. FREE Electric Vehicle Charging available (First Come, First Available). Frequently Asked Questions about EV at OAK. FREE introductory rate to plug in. Visit Coulomb Technologies for more information. EV Designated Parking Spaces are for CHARGING only. Vehicles must be plugged into the charging unit to occupy the parking space. Some EV charging spaces require the use of vehicle owner’s personal charging cord. Stay up-to-date on parking at OAK. Register below to receive information including discounts, special offers and programs. No waiting with “Credit Card In and Out”! Just insert your credit card at entry. It’s that simple — no ticket, no waiting. When exiting, just insert the same credit card used at entry, and off you go! Credit Card In and Out CAN NOT be used with parking coupons, vouchers or promotions. Refund Policy: No refunds are issued once customer exits parking plaza. At Your Service: Enjoy our complimentary, frequent on-airport parking shuttle service between the Economy Parking Lot and the terminals. The Economy Lot on-airport parking shuttle provides a faster, more efficient parking option than off-airport parking shuttles. For real-time parking availability or call (510) 563-3200 before you leave for the airport. Near the airport, tune to TIPS Radio 1700AM for current airport traffic and security information. Convenient, close-in, extended-stay spaces are available for ADA and special needs customers with corresponding ID. Disabled parking spaces are located in the Premiere, Daily, Hourly and Economy Lots and are clearly designated and available on a first-come, first-served basis. 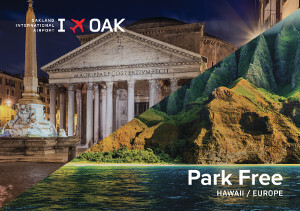 OAK offers a FREE Park & Call Lot for meters and greeters to connect to their passenger by cell phone. Passenger pick-up is permitted at the first and second curbs. Exit Airport Drive at Cowen Parkway.